"I am doing the possible things. The impossible delays a little bit, but with God everything is possible." It´s a Board game about furnitures. Play it in groups (5 students). 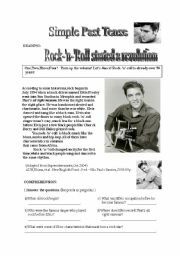 Give the students a dice and let them to ask and answer the questions. Help them if they need for a good pronunciation. Read the sentences and tick the best alternative. 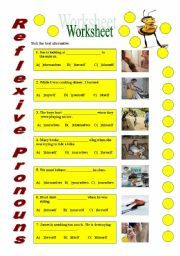 It´s a good and simple exercise to work "reflexive pronouns. Lots of kisses! Ellen Carneiro. Thanks for downloading it!!!! 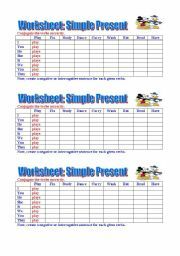 Ask the students to complete the table conjugating the verbs correctly. After doing that, ask them to write negative or interrogative sentences for each given verbs. 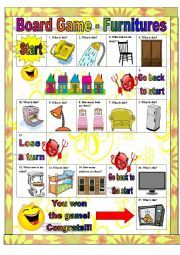 This activity is good to develop their writing and vocabulary skills. Hope you like it!!! Kisses! Ellen.